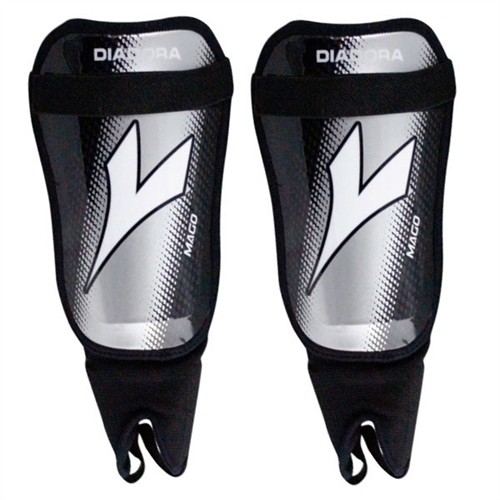 Our Diadora Mago Soft Shell Shin Guards are lightweight, low profile style shinguard that is good for all players. EVA ankle discs and padded Achilles for additional protection. Front fastening velcro calf strap.